In a preliminary report, the Texas Forensic Science Commission recently found that fire investigators used flawed science in the case that led to the death sentence and execution of Cameron Todd Willingham. Willingham was executed in 2004, having been convicted of setting the fire that killed his three children. Willingham had always maintained his innocence and said the fire could have been an accident. The Commission acknowledged that new fire investigation standards were developed in 1992, the year Willingham was convicted, but said the standards were not adopted nationally until several years later. Hence, the Commission did not find professional negligence on the part of the investigators because they were relying on standards available at the time. Nevertheless, the jury convicted Willingham on the basis of the flawed evidence and Texas may have executed an innocent man. 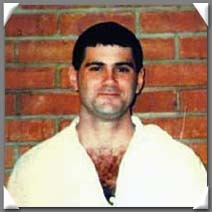 Patricia Cox, Willingham’s cousin, told the Commission, "Even though there may not have been any malice or intent by fire investigators about not being informed on current standards, that doesn't excuse the fact that, based on this misinformation, Cameron Todd Willingham was executed, and that can't be corrected." The Commission has been the subject of controversy in the past because Texas Governor Rick Perry abruptly replaced 3 members, including its chairman, just days before it was to review a report by a fire expert who first alleged that the arson investigation was seriously flawed. Since then, Perry has named the Williamson County District Attorney, John Bradley, to head the Commission. (J. Luzano, "Texas panel finds flaws but no negligence in arson inquiry that led to execution," Dallas Morning News, July 25, 2010). Read more about Cameron Todd Willingham or see Innocence.